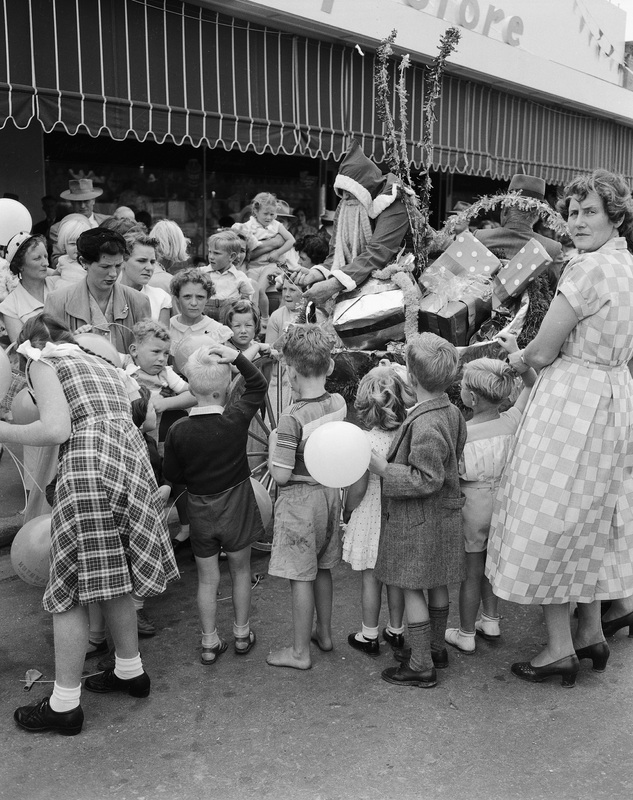 CSU Regional Archives will close for the Christmas holidays from 12:30 pm on Wednesday 24th December and reopen at 9:00 am on Monday 5th January 2015. The Archives staff would like to wish everyone a Merry Christmas and Happy New Year. 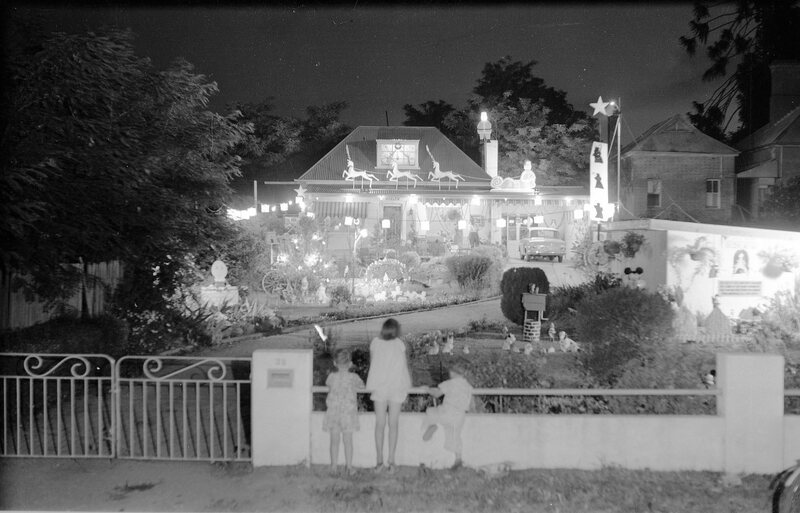 In keeping with the spirit of the season we have included some images of Christmas past in Wagga. The true meaning of Christmas. 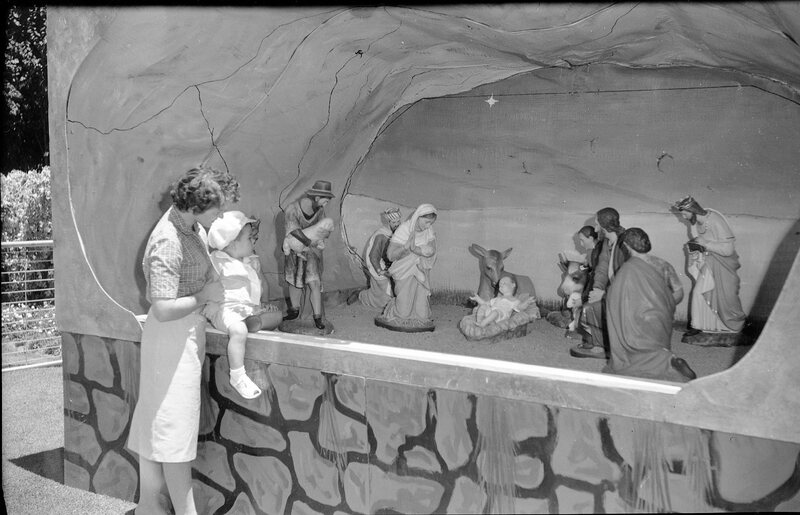 A mother and child view the nativity scene at the Victory Memorial Gardens in 1962. [Tom Lennon collection RW1574/346]. 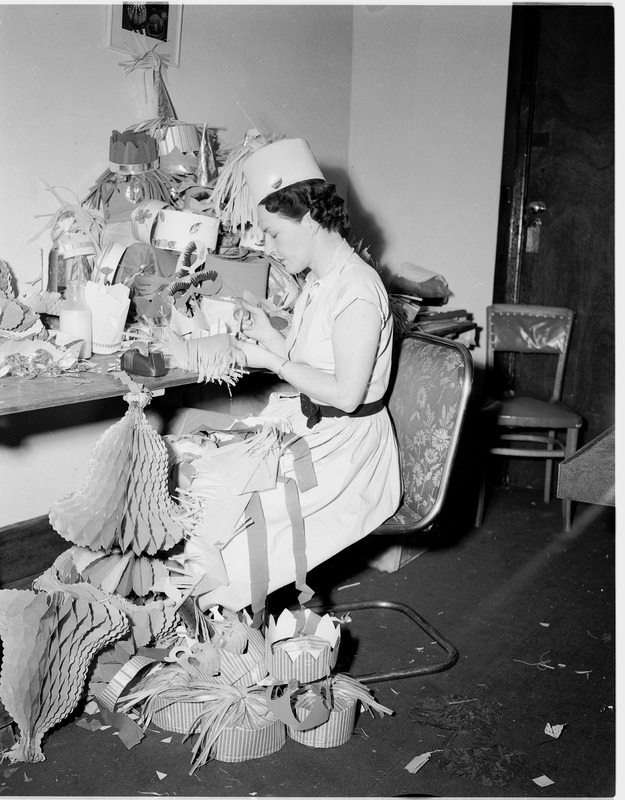 Labour intensive Christmas decorations 1954 style. [Evening News collection RW1574/253]. 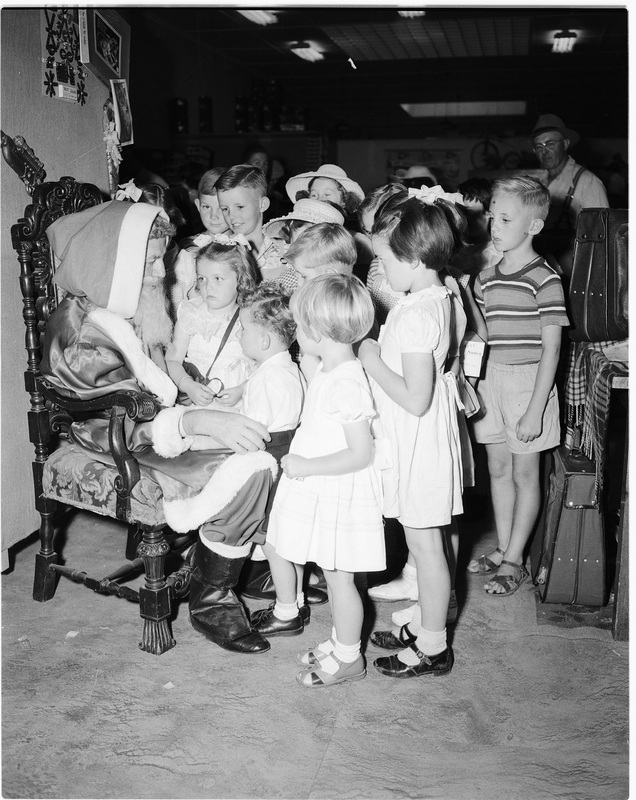 Well behaved and well dressed children waiting to tell Santa what they would like for Christmas. [Evening News collection RW1574/253]. 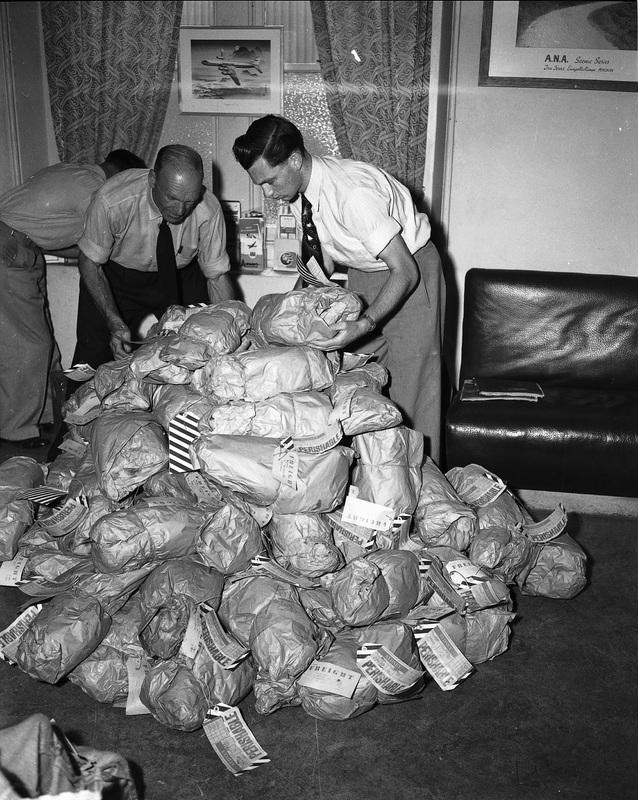 We thought that these might have been hams or turkeys flown in for Christmas lunch. Any ideas? [Evening News collection RW1574/253]. Father Christmas arriving at Huthwaites in 1954. [Evening News collection RW1574/253]. Dreaming of winning. 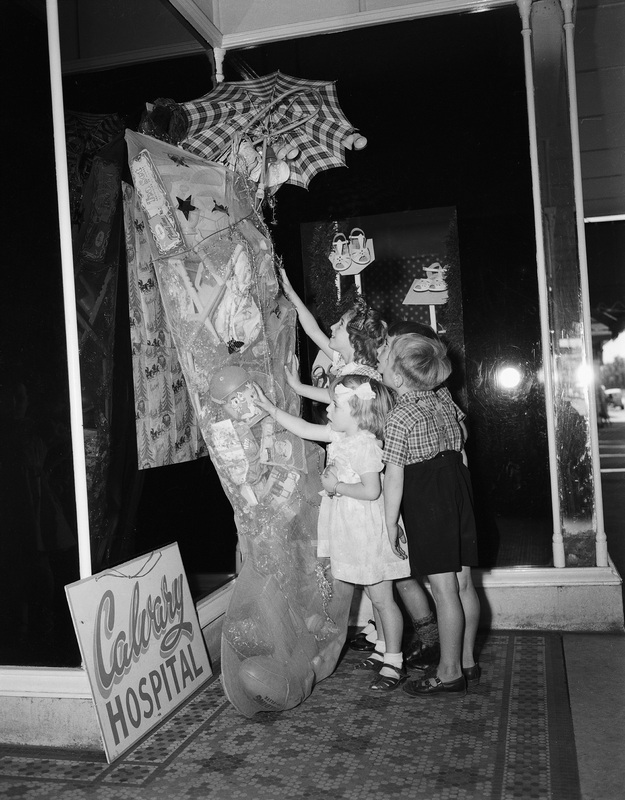 Children marvel at all the goodies crammed into the Calvary Hospital Christmas stocking. [Evening News collection RW1574/253]. 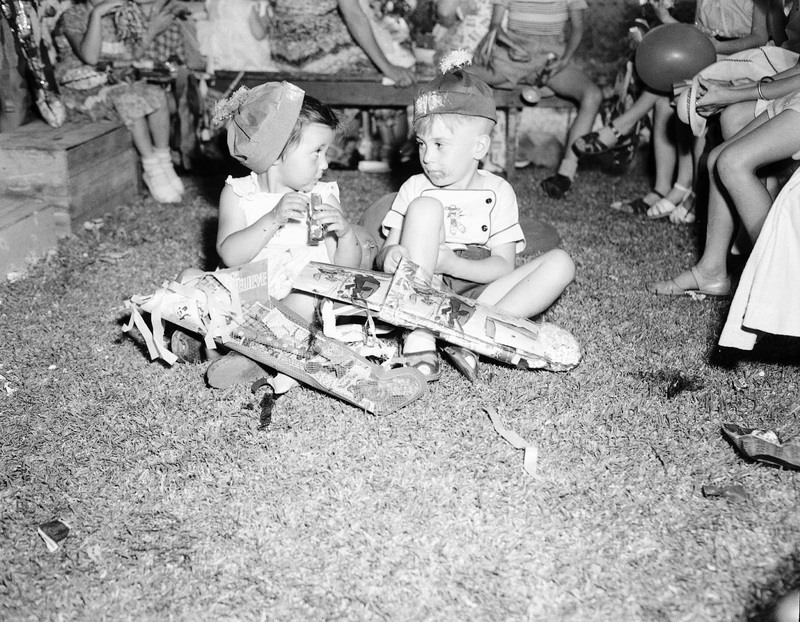 Enjoying their stockings at a children’s Christmas party in Kincaid Street – 1954. [Evening News collection RW1574/253]. Next Next post: Goodbye Lauren!